Dan Bailey (left) and David Aiken are among neighborhood residents who would like to see a larger development. Turns out, there are people who actually want development in their backyard. These aren’t the complainers known for crying NIMBY — not in my backyard. These folks want to say yes to new building projects. In East Boston, for instance, when some residents raised concerns about plans for a retail project in a dormant corner of otherwise bustling Maverick Square, they weren’t saying it would be too big and disruptive for the neighborhood. They thought it was too small. The residents are pushing Burlington-based Linear Retail Properties LLC to come up with something more ambitious than the two-story, 26,000-square-foot retail complex it’s proposed for a site now occupied by a former funeral home and three vacant buildings. The development, steps from the MBTA’s Maverick Blue Line station, would include a restaurant, shops, and a fitness center. It is an unusual stance to take in a city where an unprecedented building boom has stoked fears that development — from office towers to condos — is crowding people out of once affordable neighborhoods. But the demand for more housing has given way to a small, but growing YIMBY movement, short for “yes in my backyard.” Proponents aim to encourage higher-density development to meet the need for added housing and to slow the rate of price increases that have led to the displacement of residents in several neighborhoods, said Jesse Kanson-Benanav of A Better Cambridge, one of the most active YIMBY groups in the region. And it’s also not so simple to achieve. For one, Linear specializes in retail development, not residential, Kadis said. And adding height and housing to the Maverick Square site would mean having to incorporate costly but required add-ons, such as parking (probably underground) and elevators. 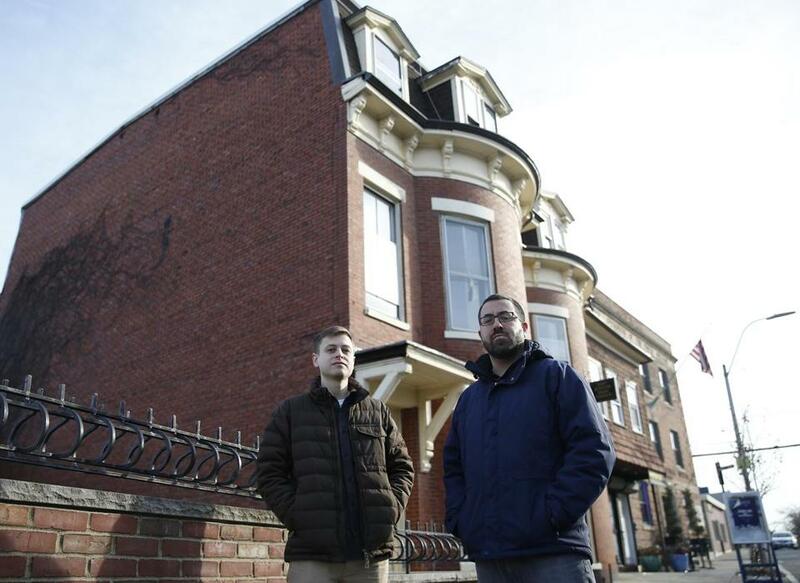 Those calling for an upsized project, Kadis said, are mostly East Boston newcomers whose interests are at odds with those of the people who have called the neighborhood home for decades. Kadis said hundreds of residents have signed a petition from Linear supporting the current development plans. Dan Bailey, one of the residents calling for the project to be expanded, acknowledged that there is a “generational division” over whether there should be higher-density development in East Boston. Elsewhere, Kanson-Benanav of A Better Cambridge said the YIMBY movement in Boston and other expensive cities such as San Francisco and Seattle is being driven by newer, younger residents. Kadis said Linear Retail Properties has made changes to the Maverick Square proposal in response to neighbors’ concerns. The concept, now in its third iteration, was changed from a contemporary large glass box design to a red brick structure with windows, to better blend with surrounding buildings that are between two and three stories tall. Only a handful of buildings in the square, including the recently built East Boston Neighborhood Health Center, top off at four stories. Maverick Square, Kadis added, is in need of more retail space to serve a growing population. Over the past four years, 1,725 new housing units have been permitted in East Boston, according to the city’s Department of Neighborhood Development. “You got all this new residential and they want a place to have dinner, have a cup of coffee, and work out,” he said. But while the density debate goes on, the East Boston project has hit a roadblock. Some of its foes successfully petitioned the city to have two 19th-century town houses scheduled to be demolished studied for possible landmark status. In addition, the Boston Landmarks Commission recently took the extraordinary step of imposing a two-year moratorium on work on the site after it determined that Linear had violated a 90-day demolition delay order by removing asbestos from the town houses.